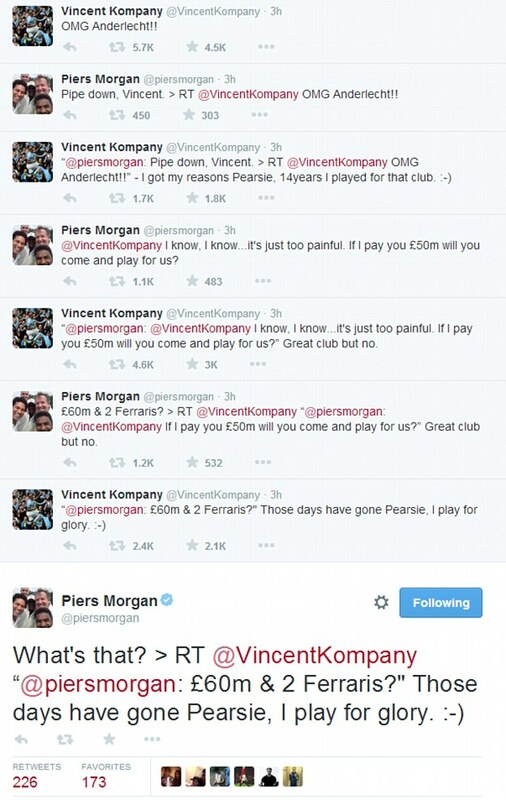 After Arsenal’s collapse against Anderlecht, famous Gunners fan Piers Morgan attempted to persuade Manchester City captain Vincent Kompany to come to the rescue. SEE MORE: Arsenal Player Ratings From Shocking 3-3 Draw Against Anderlecht: Alexis Sanchez Stars Again, But Defenders Poor. Arsenal were 3-0 up and cruising with 30 minutes to go at the Emirates last night, but some very poor defending allowed the Belgian side to fight back and pinch a 3-3 draw. 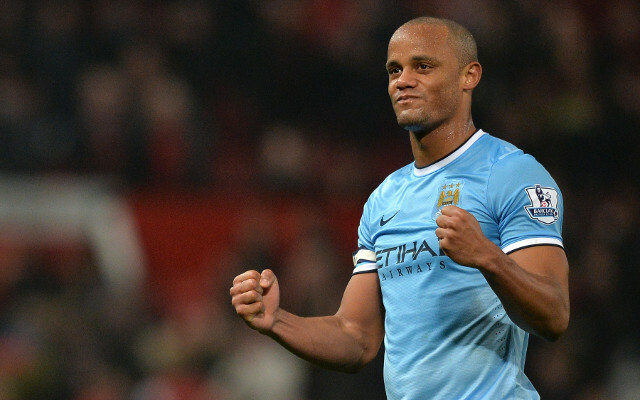 Kompany, who began his career at Anderlecht, tweeted his delight at his former club’s comeback. Morgan then replied, sparking an interesting dialogue, which you can see below. Despite Morgan’s best efforts, Kompany refused to consider a move to the Gunners, stating that he ‘plays for glory’, not money. Top 50 Hottest Sportswomen In The World 2014.